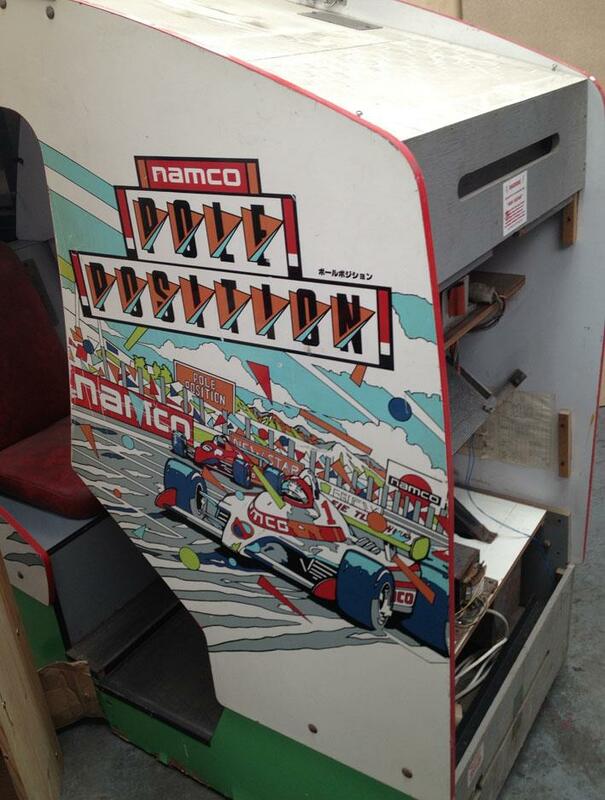 Pole Position cockpit (Original Namco version) collected in Machines by Andrew Welburn - Collected It! Recently acquired, needs monitor fixing, steering wheel recovering, a dual S10 coin mech plate, a gear shift... The original pcb is playing an English-market version of the game, but i'll probably revert it to the Japanese version or pole position 2 :) I have photos of the topper, will be nice to restore this one.